"I love the grainy film look and dark backlighting. The plot was just enough to propel the scenes and the zombies were very effective. the makeup and gore effects were great. I dig the sort of Creepshow soundtrack melody too. the zombie agression kept a tension going so that it didn't get slow. all around, I think this is a quality film and I would think that alot of weirdos like myself would dig it." 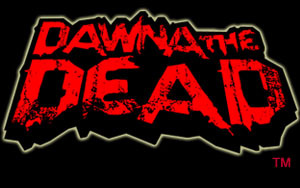 "DAWNA OF THE DEAD is so wrong on so many levels, that it actually achieves high art in cinema. Plus, there is simply nothing sexier than something you shouldn't be seeing." "The DAWNA OF THE DEAD trailer is obscene, disgusting and just plain wrong"
"Under penalty of perjury, I swear/affirm that as this moment, I am an adult, at least 18 years of age. I promise that I will not permit any person(s) under 18 years of age to have access to any of the materials contained within this site." © Copyright Laume Conroy 2005-2017 All rights reserved.